The American Riviera is one of the most spectacular places for a holiday in California; and when it comes to exclusive accommodation, there are a few select places to consider, and one is most certainly the Four Seasons Resort The Biltmore Santa Barbara, an upscale, Californian property with magnificent beach front location, writes Andrew Forbes. The 206-room resort has stylish guest accommodation within historic garden buildings and classic bungalows. 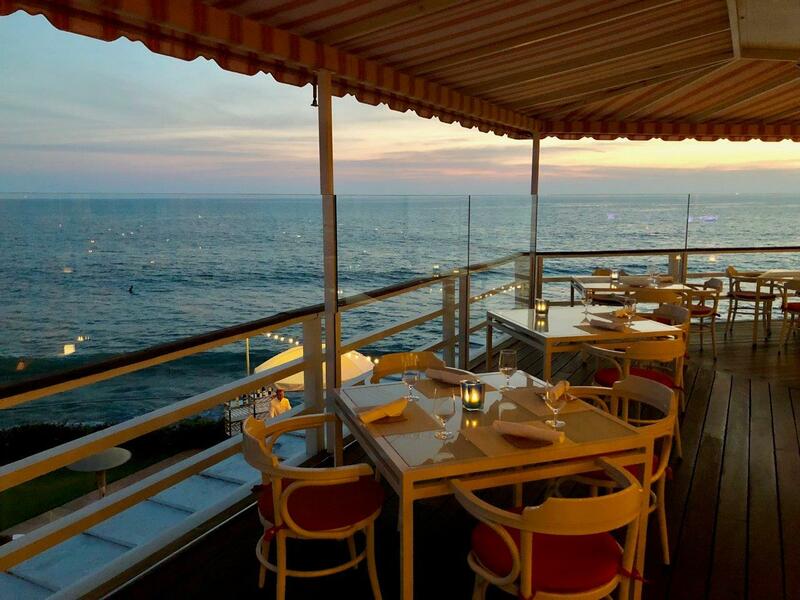 Dining includes the acclaimed Tydes Restaurant in the adjacent beach club; the Belle Vista Restaurant overlooking the Pacific; the poolside Coral Café & Bar; and the smart Ty Lounge. There’s a luxurious spa; and a range of tailorable experiences for families, couples and sporty types ensuring that all guests get the most out of a stay on this glorious part of the Californian coast. 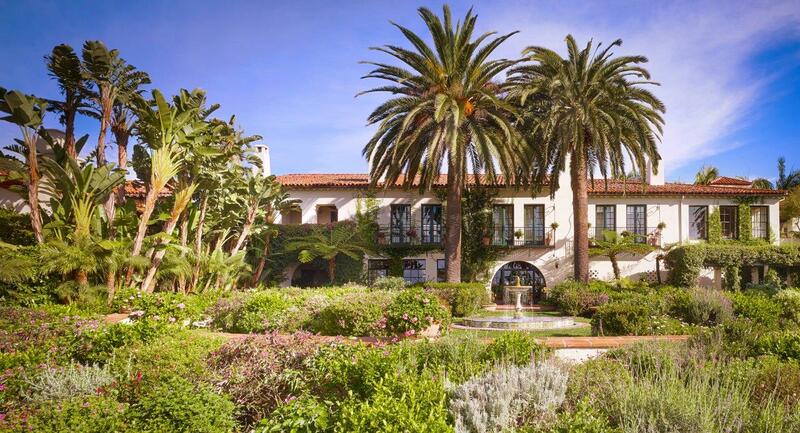 This once 19th century estate, formerly The Montecito Country Club, has been built in Spanish Colonial Revival style, and is surrounded by sub-tropical gardens. Guest cottages were built in the surrounding Montecito Park, and the rest as they say is history. 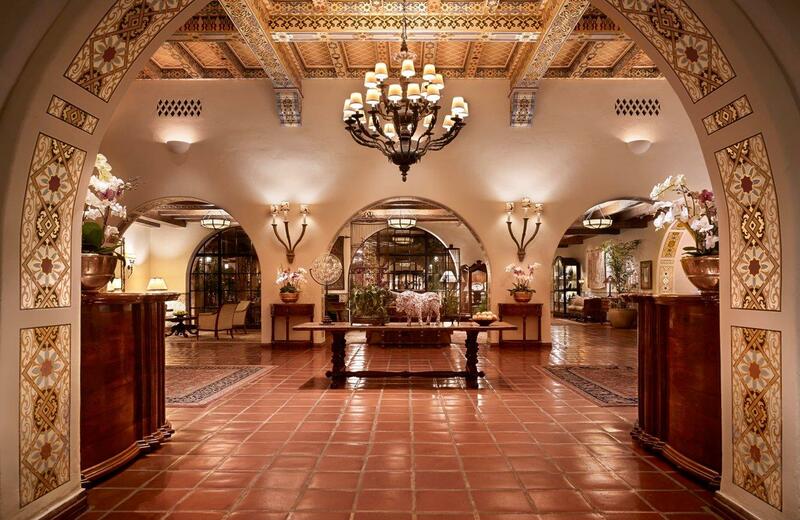 The resort has become one of the top hotel properties in the Santa Barbara area. For those readers who have been following my American road-trip sojourn along the scenic Pacific Coast Highway, you will now that this elegant resort provided a luxurious break on our adventure. Four Seasons Hotels & Resorts promises guests a unique perspective from which to discover a destination; and one that is defined by superb service. 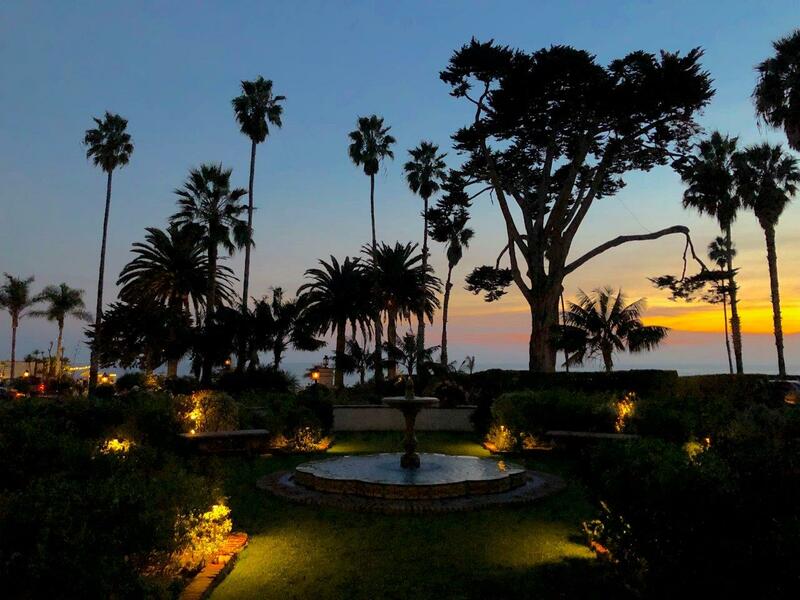 Well, I can certainly say, hand on heart, that the excellent team at Four Seasons Resort The Biltmore Santa Barbara, led by GM Karen Earp, defined my stay. The service, style and attitude of the people was so natural, friendly, professional and caring. 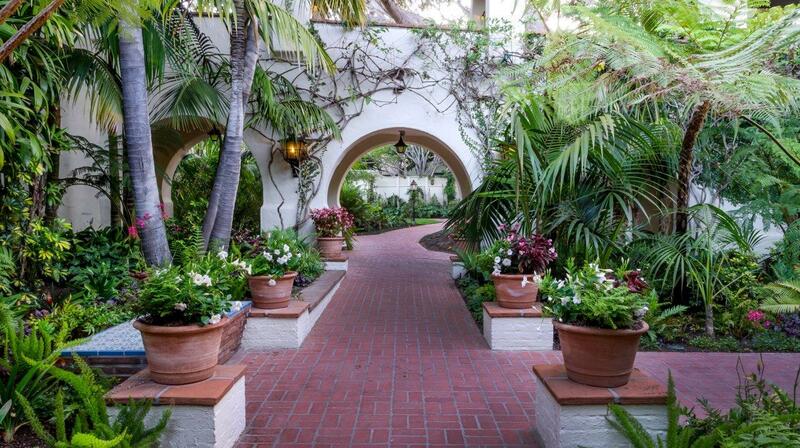 Four Seasons Resort The Biltmore Santa Barbara is very much part of the region’s history and culture. 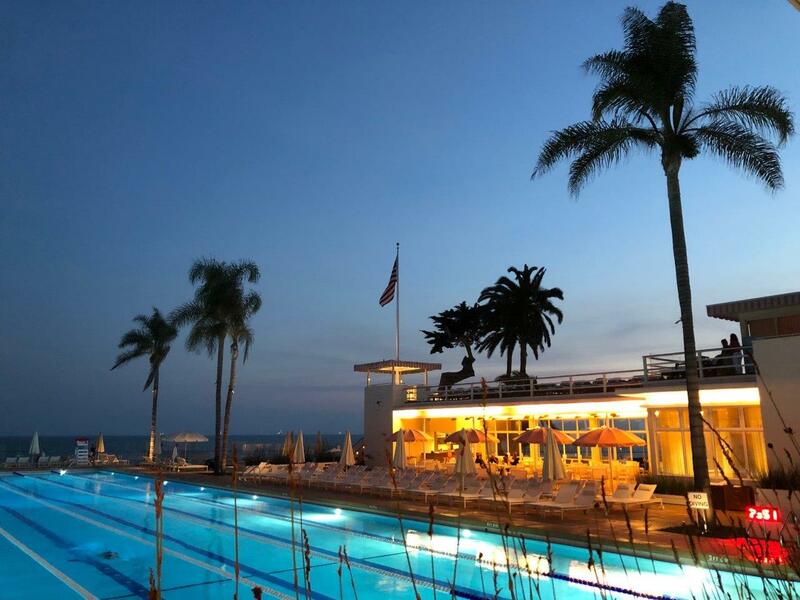 Dating back to the early 1900s, it epitomises the chic, laidback Californian interpretation of luxury and exclusivity on the American Riviera. 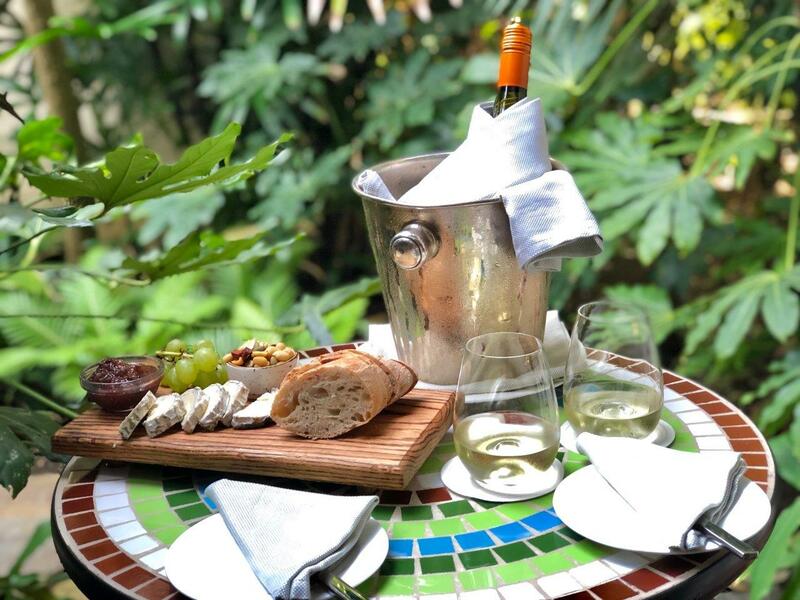 The property has low rise, colonial style guest room buildings with balconies or ground floor garden terraces; and classic guest cottages/bungalows are set with acres of landscapes gardens. The adjacent vintage-style, private membership Coral Casino Beach and Cabana Club has a superb restaurant, ‘Tydes’ exclusively for members and select hotel guests. Dinner at Tydes was the highlight of our stay. Set back from Montecito’s Butterfly Beach, the Four Seasons Resort The Biltmore Santa Barbara is within the ultra-luxury neighbourhood of Montecito, one of the elite ocean-facing communities of Santa Barbara (that also encompasses Summerland and Goleta). This is the self-styled ‘American Riviera’, where California’s Pacific coast is south facing, and the valleys, sheltered by the Santa Ynez Mountains, have become the most desirable and exclusive areas to stay (and live) in the United States. 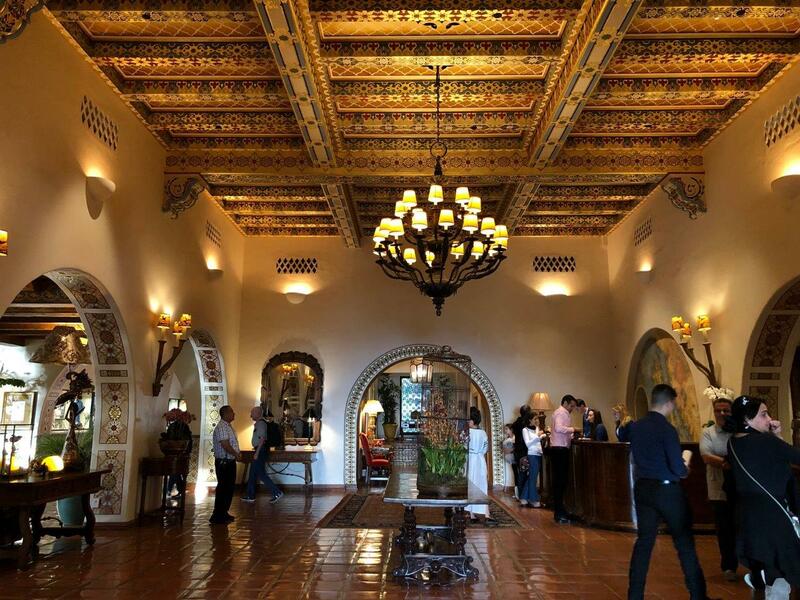 Santa Barbara is renowned for its Spanish Colonial Revival architecture of the early twentieth century; and the Four Seasons The Biltmore is a very fine example. The exterior architecture of whitewashed, rough plaster walls, terracotta coloured roof tiles and elaborate ironwork together with the interior details of ornate ceilings and intricate ceramic tiles convey a magical Spanish colonial feel. 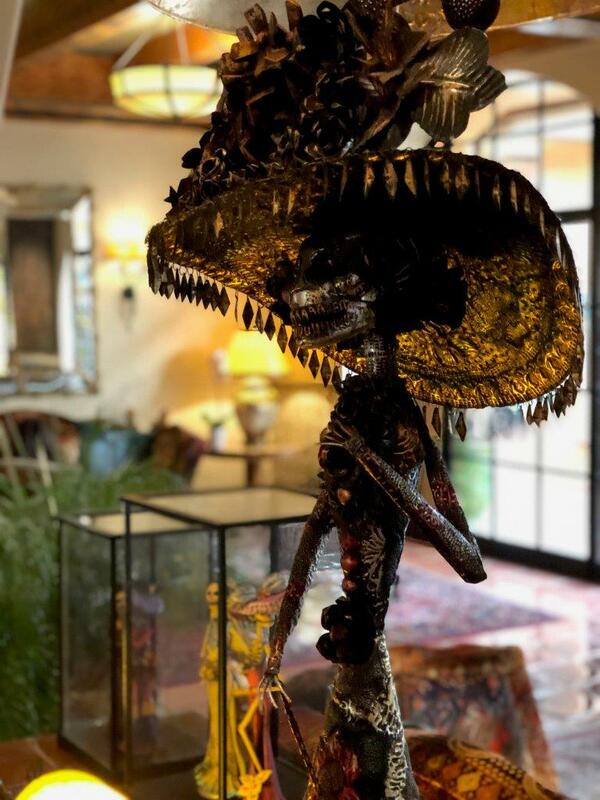 The lobby and bar are decorated with items of Mexican folk art; including papier-mâché figures and masks evocative of the Día de los Muertos. Although this classic Santa Barbara aesthetic is so much part of the property’s identity, it was for me the team that really set the style. They were superb. Each encounter was a pleasure. The resort is very much family-friendly, and it was a pleasure to see families enjoying the relaxed, yet sophisticated hotel. Our car’s navigation guided us through the quiet residential streets adjacent to the Pacific, right to the entrance of the Four Seasons Biltmore. Waiting outside, as we came up the sweeping driveway were two valets. This is one of the civilised luxuries of life in the States – valet parking. The car is parked, and one’s luggage unloaded and taken to the room – guests are escorted to reception. From the moment of our arrival the friendly, polished service was evident. Check-in is still performed in the traditional way, standing at the front desk, but even so, it was a swift and easy process. This is a large property, reflecting its history as a country club, with rooms set amongst the landscaped gardens and near the beautiful pool. Rooms and suites are spread out over the property, in two storey blocks (home to the evocatively names Jungle Rooms; and also, the charming Garden; and Riviera rooms); or in cottage bungalows. Our room was a Riviera room with garden terrace. Although not a Junior Suite or Suite the room was a delight. What the room may lack in contemporary technology like mood lighting or USB charge points, it more than made up for with wonderful design detailing. Bespoke furniture, and fittings captured the creative, alluring style of Spanish Colonial Revival, combined with the distinctive upholstered headboards with gold detailing in the hand-woven Otomi; and charming tilework in the bathroom. 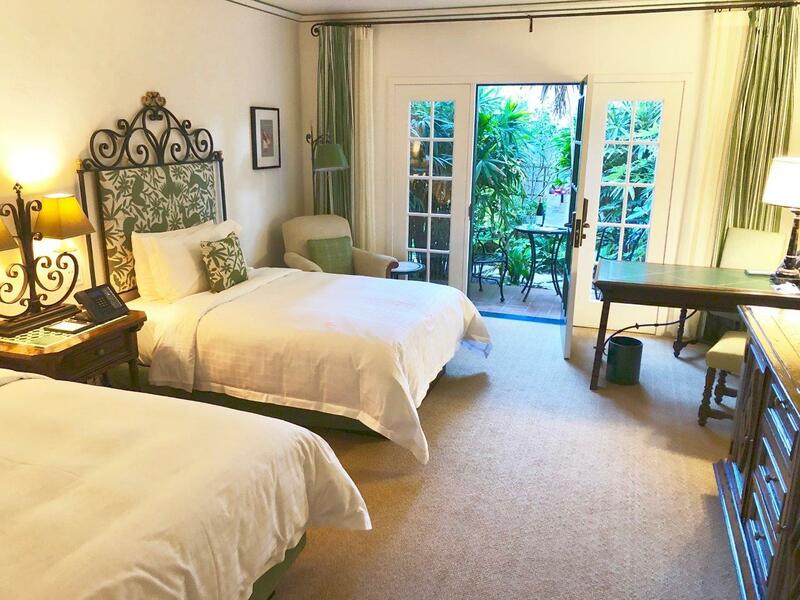 The whole guest room had a very welcoming, Santa Barbara feel. One can expect the modern amenities of free wi-fi, a huge LED TV; and well-stocked mini bar, with coffee machine etc. The bellman was so helpful giving me extra coffee capsules for the coffee machine, extra water bottled and generally making sure I was made to feel welcome. The Bathroom included a tub and was spacious and delightfully designed. The first meal of the day is served in the Bella Vista Restaurant – a cavernous space that includes a terrace. A broad a la carte menu included American and international favourites, complemented by a buffet selection of fresh items. 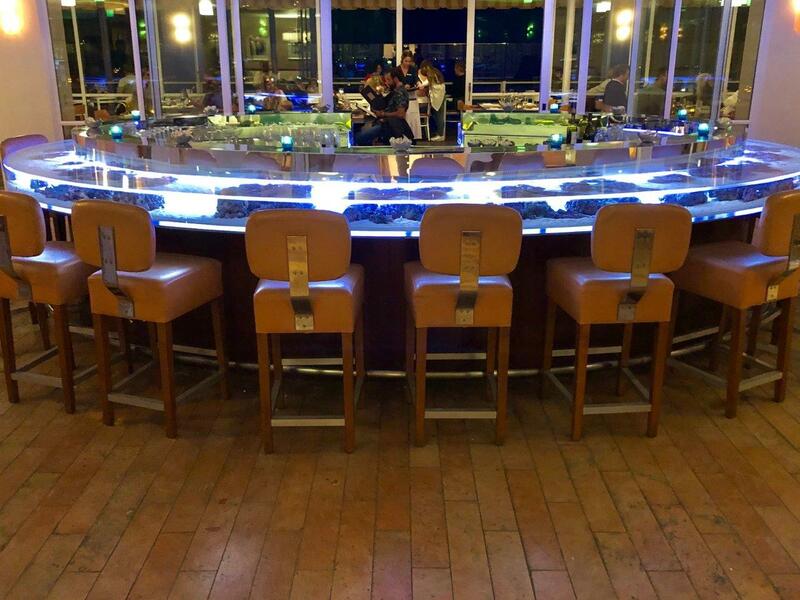 Our room included access to the private-members Coral Casino Beach and Cabana Club – so of course we made sure we had a dinner reservation at the Tydes Restaurant. Yet beforehand, whilst we enjoyed the last of the Californian sunshine, we headed to the Ty Lounge Bar. Just off the lobby, and opening onto a beach-facing terrace, is this fabulous bar. It’s full of design details including some wonderful rondel glasswork that diffuses the sunlight creating warm and subtle colours that fill the bar. 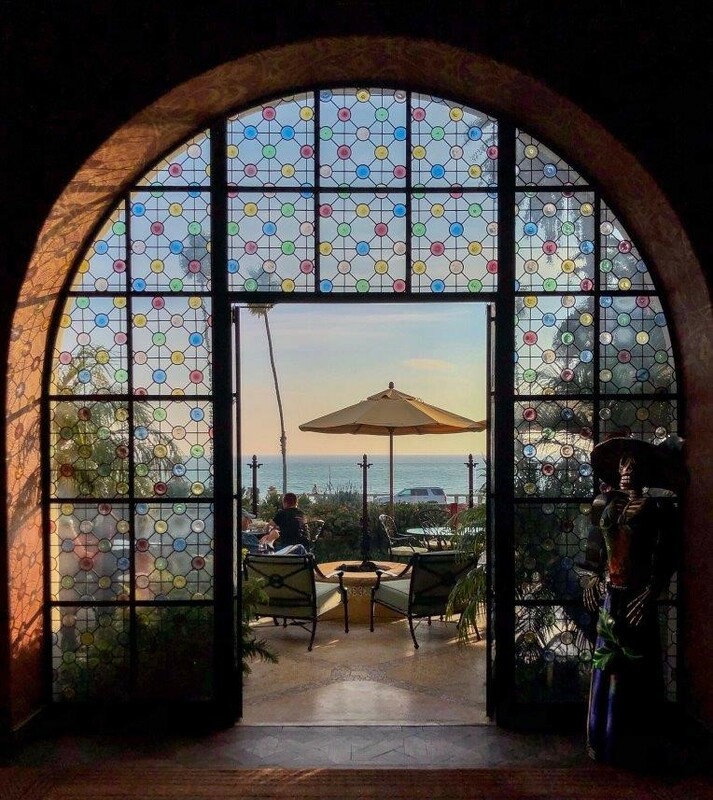 The terrace overlooks the gardens, Butterfly Beach and the Pacific beyond. Inside the bar is decorated with Persian rugs, leather seating, and an intricately painted Spanish Colonial Revival ceiling. It’s very inviting for a cocktail! 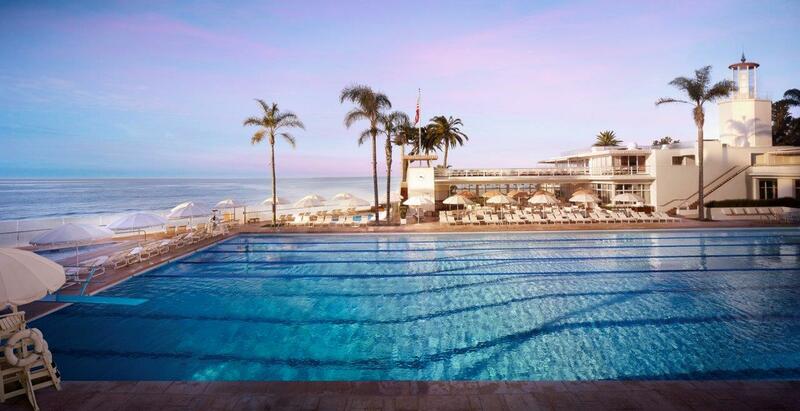 Beside the Four Seasons Resort the Biltmore Santa Barbara is this vintage beach club. I just loved the style! It beautifully captured in my mind at least a bygone age of California cool. Coral pink parasols shade white loungers that line the edge of the Olympic sized swimming pool. It has recently undergone a spectacular multi-million-dollar restoration and remodelling. 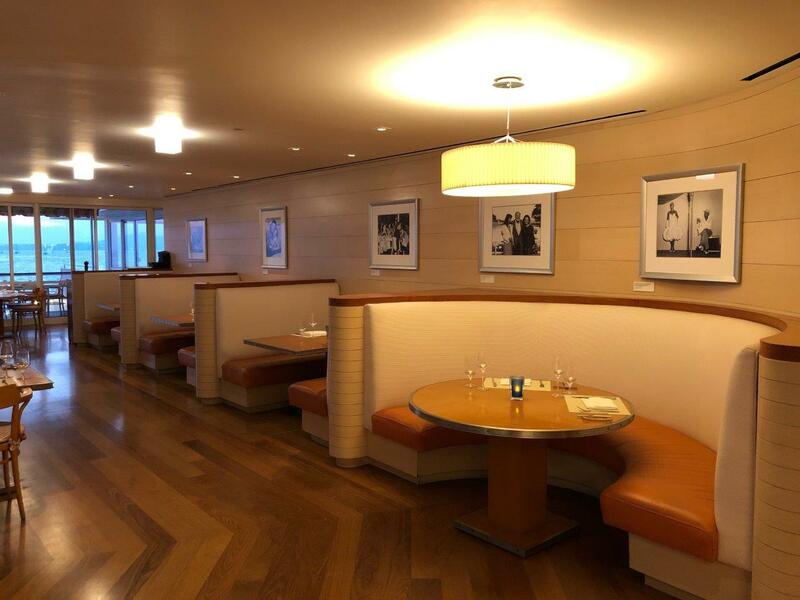 The club house has two bars, and a restaurant on the first floor with old-school leather banquette booths, as well as tables by the windows overlooking the Pacific, and out on the terrace. The interiors by Peter Marino are inspired by 1930s art deco. I shamelessly ordered a lilac cocktail (‘High Tyde’ with empress gin, Germain elderflower liqueur, and lychee!) 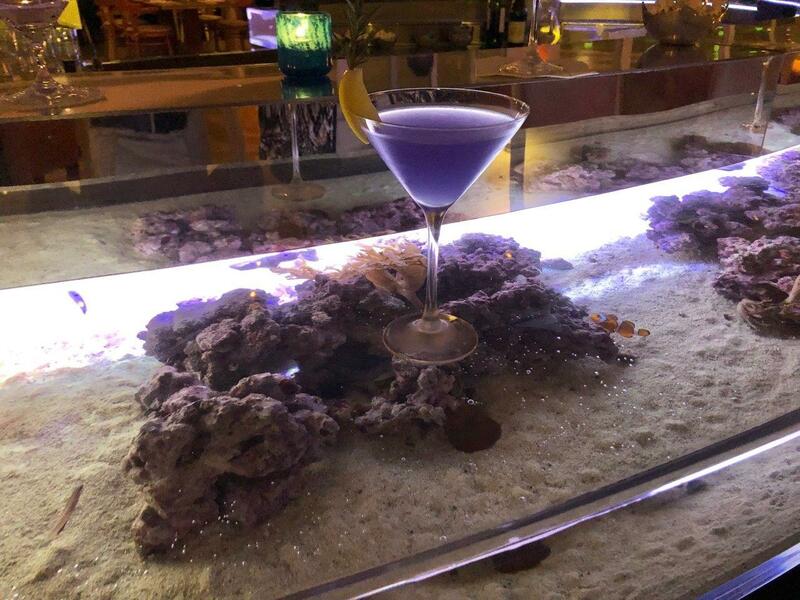 enjoyed at the central coral reef bar where one can play ‘finding Nemo’, picking the colourful fish that hide amongst the coral in the 8.5-metre oval sea water aquarium bar, complete with a living coral reef. We had an absolutely splendid meal prepared by the talented Chef Manu, working within the team of Executive Chef Marco Fossati. 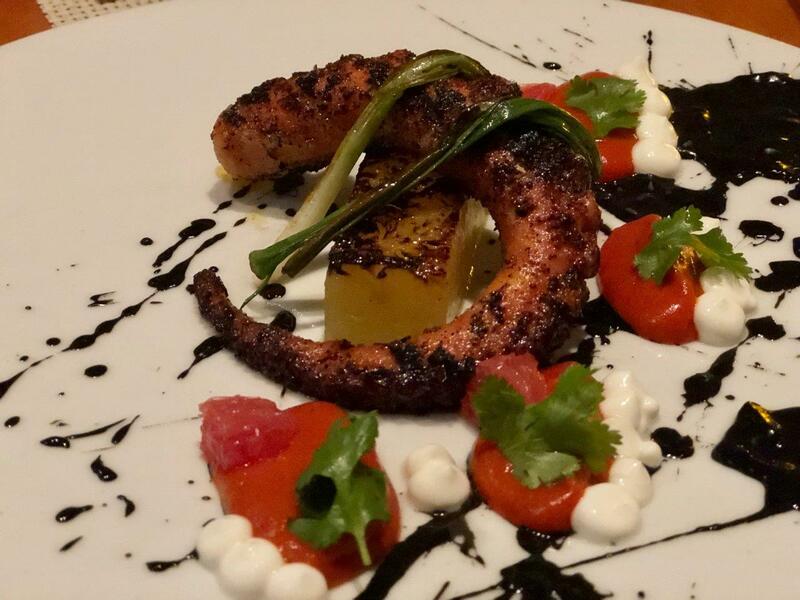 The starter of Octopus (with Greek yoghurt, grapefruit & squid ink aioli) was superb. 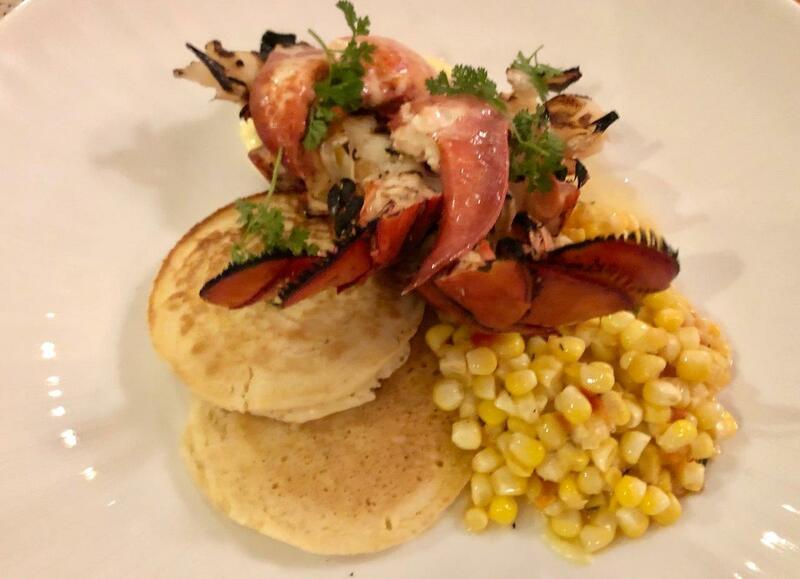 I also tried the grilled lobster (with corn pancakes, corn pudding and gypsy pepper marmalade). I dish that was prepared in a completely new way for me, and so good! It really was one of those special evenings when everything comes together – wonderful food, friendly service, and fabulous location. There lies the art of great hospitality. A big thank you to our server Ashley who was so great – highly professional, helpful but also genuinely friendly. In addition the resort has a gym and spa – and experiences such as learning to surf; playing volley ball with an olympic athlete and mcuh more. There are food & culture experiences available too. 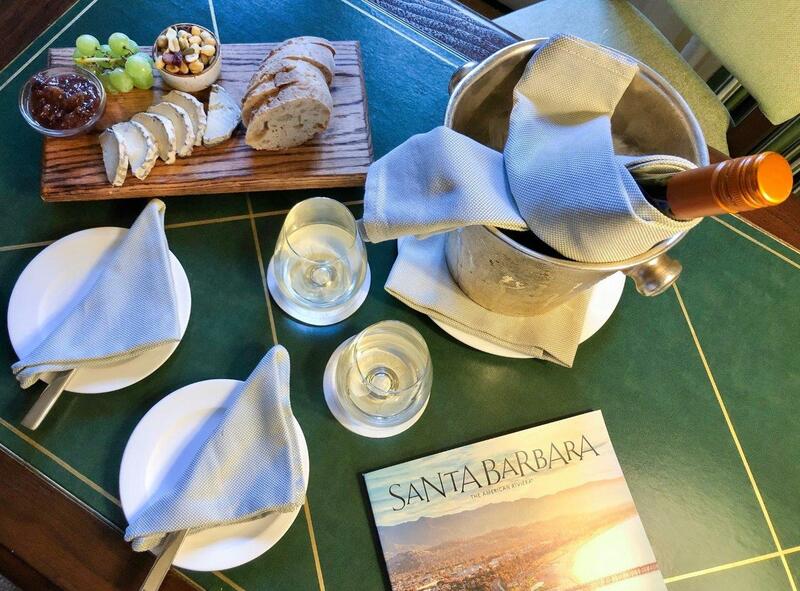 My genuine experience of the Four Seasons Resort the Biltmore Santa Barbara was one of relaxed enjoyment. The service and attitude of the staff never felt contrived, forced or scripted. Food and accommodation were just right – as a guest one didn’t ever feel undervalued or underwhelmed by the environment. 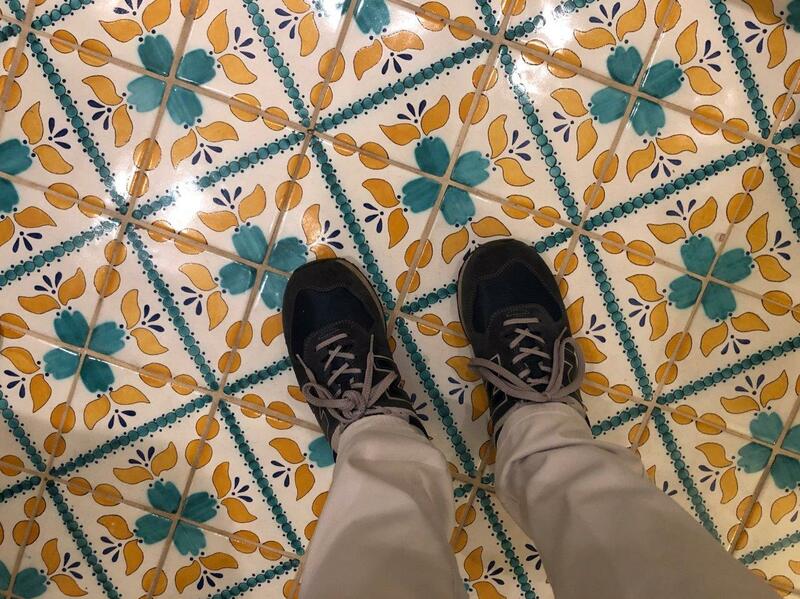 Fr me that’s a great hotel experience, where in just becomes immersed in the joy of being in the place – and not fretting about being ignore, or a bad dish in the restaurant, or missing something in the room. 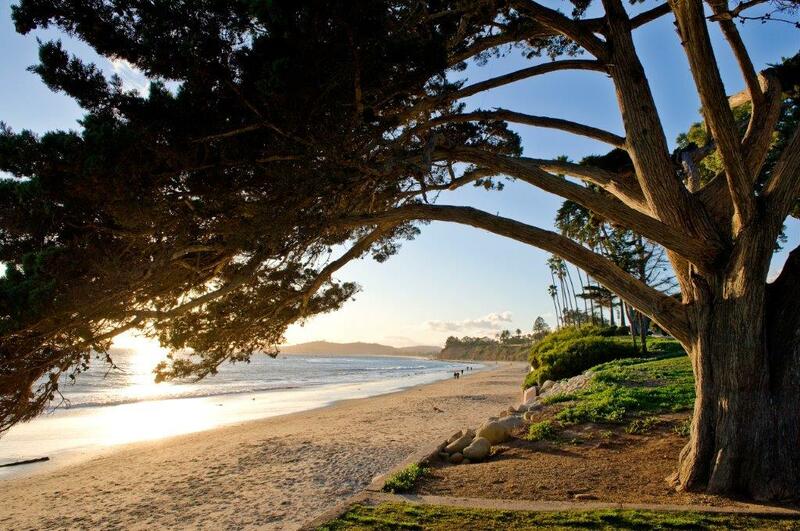 Santa Barbara is the heart of the American Riviera. 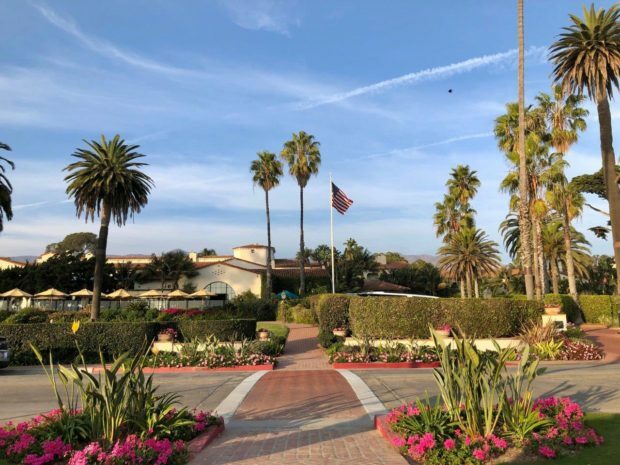 Here California’s Pacific coast is south facing, and the valleys, sheltered by the Santa Ynez mountains, are home to the cluster upscale ocean-facing communities, including Summerland, Montecito, Goleta and of course Santa Barbara. 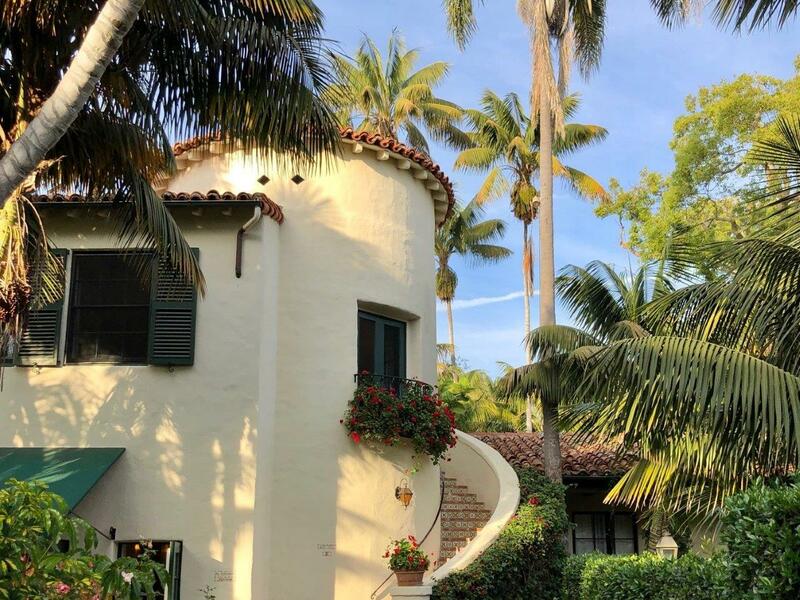 The American Riviera has been a favourite among the elite and the Hollywood A-List for at least a century, yet now it has a new moniker, the American Riviera. Conjuring thoughts of European sophistication, small-town charm and Mediterranean chic – for me, that pretty much captures the vibe! 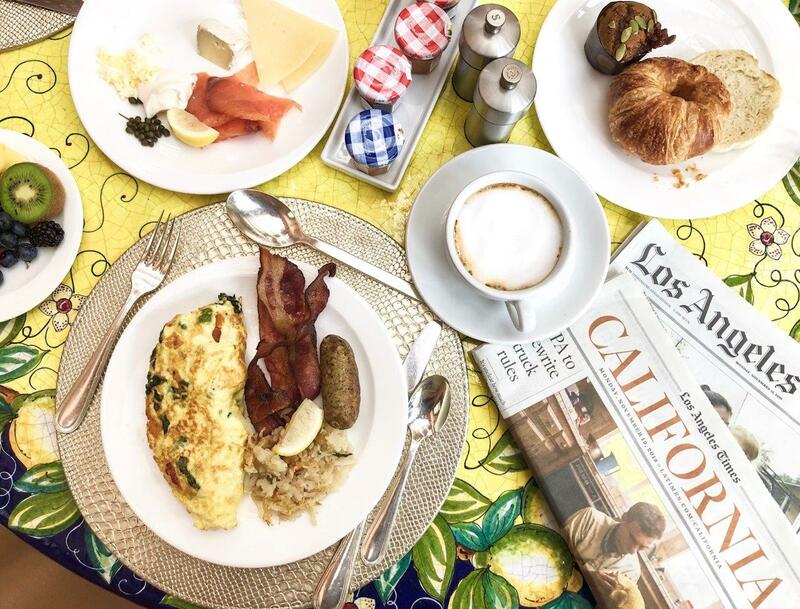 You can read my Eat Do Sleep guide to Santa Barbara here. 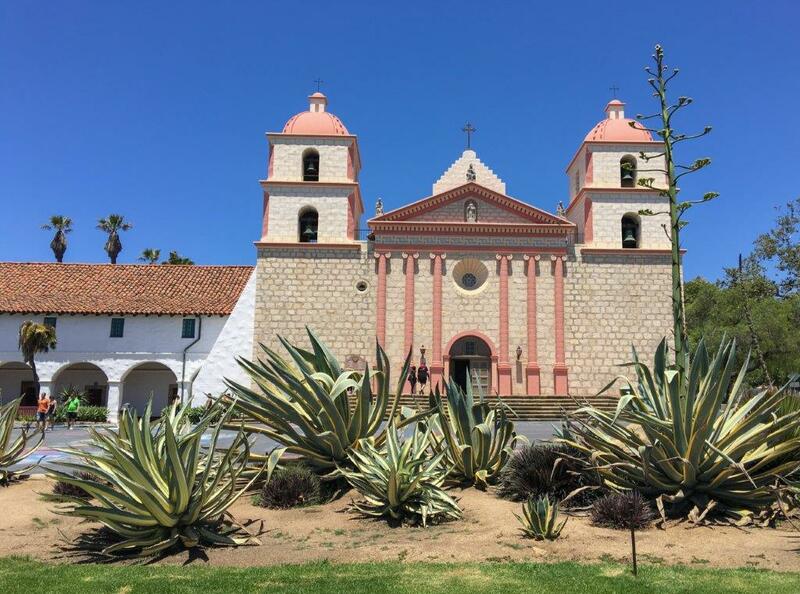 For more information about the American Riviera; travel inspiration; as well as news of events, then check the Visit Santa Barbara website, which is full of resources to help you explore and plan your stay. 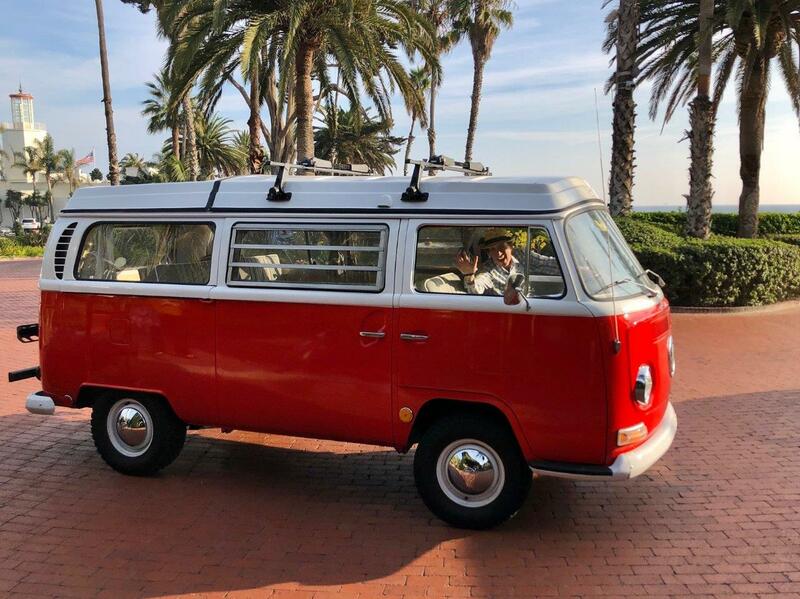 I stayed at the Four Seasons Resort The Biltmore Santa Barbara during my road-trip along California’s scenic Highway 1 with a hire car booked directly with Hertz UK. Please note: Images cannot be reproduced without permission. Most are my images; however, some are courtesy Four Seasons Hotels & Resorts, including work by photographer Barbara Kraft who retains full copyright. 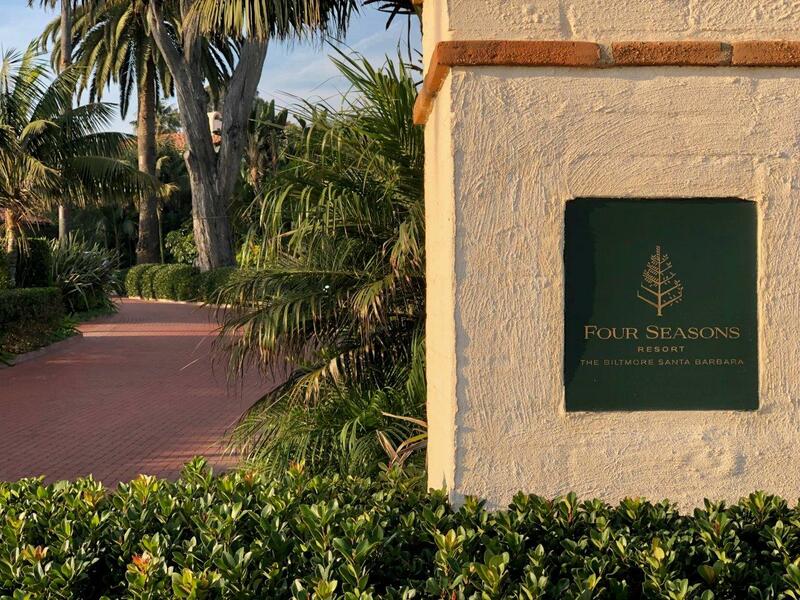 I was a guest of Four Seasons, hosted by Visit Santa Barbara. This is not a paid post. My opinions remain my own.